Whew busy couple of weeks! 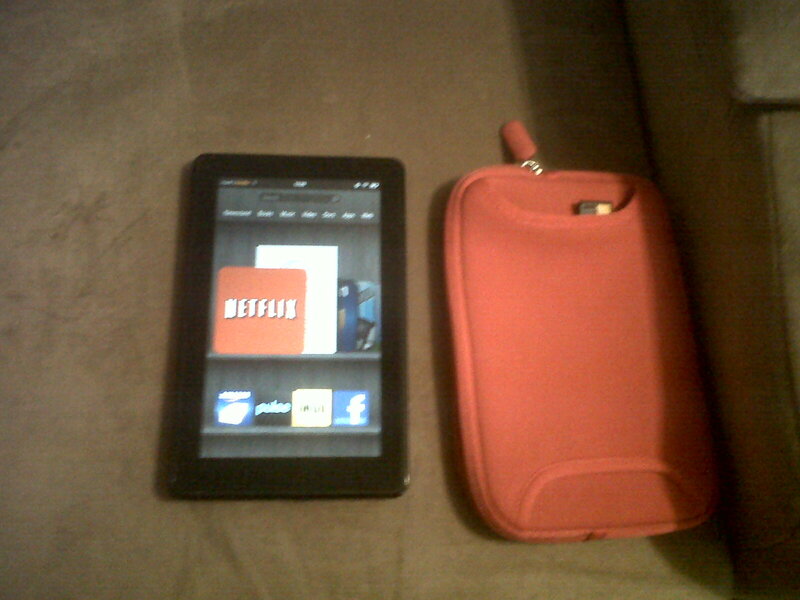 Plus Kindle Fire review. This month was stock up month for us. When I fill in things we use that are in general non perishable. I also stock the freezer. Buy things for the home, like mini blinds… shelves… furniture… The last couple weeks have been busy. This week also heralded in the 5th anniversary of my cancer diagnosis. I was diagnosed on Feb 24th. I had surgery on March 2nd and was pronounced cancer free a few days later. Well yesterday I had my 5th year check up. The doc says I am all clear! He also said that the type of cancer I had is unlikely to recur after the 5 year mark. He says I am free! Woot! True the test results take 2 weeks but he says there is nothing to suggest they will not be clear. WHEW! OK so now I want to do a product review. 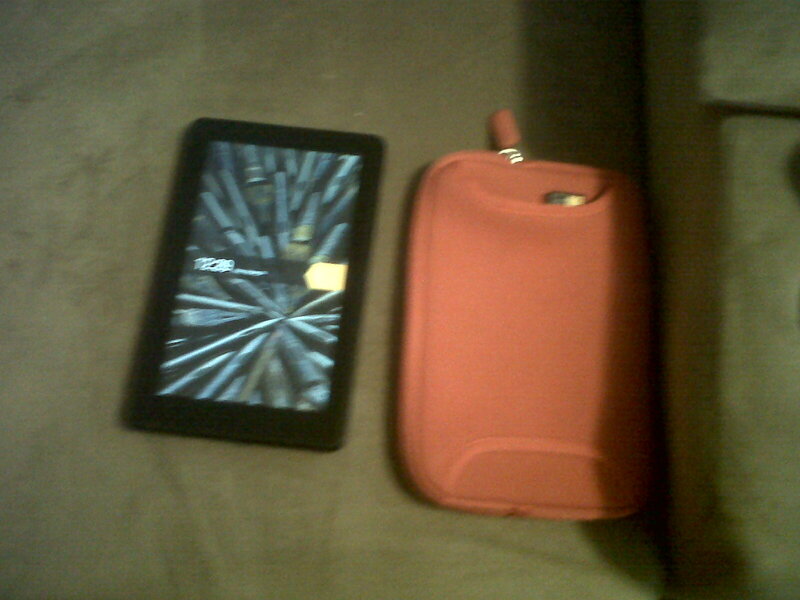 As you know, my Beloved surprised me with a Kindle Fire for Christmas. I have had an used for the last 3 months. The graphics are fantastic! The graphics are better than on my pc. Granted my pc is now 3 years old and advances have been made. It is easy to use and transport. I love being able to read anywhere. It fits in my purse. This is neat, I can use it to take notes or read and study. The games. I am not a big gamer but the uno, yatzhee , mahjong and words with friends are addicting! Free programs. Everyday Amazon offers a free Android ap, and they all work on the kindle! The power plug is inconveniently located at the bottom. It is a pain to use when plugged in. Plus the plug wiggles around and feels like it will fall apart any minute. The fonts for the web and email functions can not be enlarged and are set at 8 or 10 pt. I need 12 to read easy for long periods. So I do not do much web browsing which, truth be told was part of the reason for the purchase. It is hard to read in sunlight. It has sensitivity issues… Some programs, and this may be the fault of the programs, but some react too quickly when touched some too slowly if at all. It takes a long time to boot up and for web pages to load. Plus the wifi eats power way too fast. I also do not like that some programs are so web based you HAVE to be connected to use them. A big one I had issues with was youversion Bible software. It MUST have internet access to function at all. I wanted it to be able to study and compare different Bible versions and verses, but some places I go do not have wifi access and so it would not work. Again this may be a program function but since the BIG reason I wanted it was easy Bible study with out lugging my laptop pc around, it is a neg. Basically I found myself using it to play games. While that is fun, it is also a big time waster. My solution, I traded it with my Beloved for his netbook. It does everything I want, runs the kindle ap, gives me access to the many Bible programs that are really downloaded and installed, whether I am online or not. So over all was the Kindle Fire worth it for me? No. 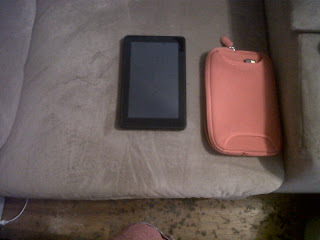 A regular kindle would have done me just fine. That was my fear when Beloved got me the Fire. However he is having fun with it so for that I am glad we got it! 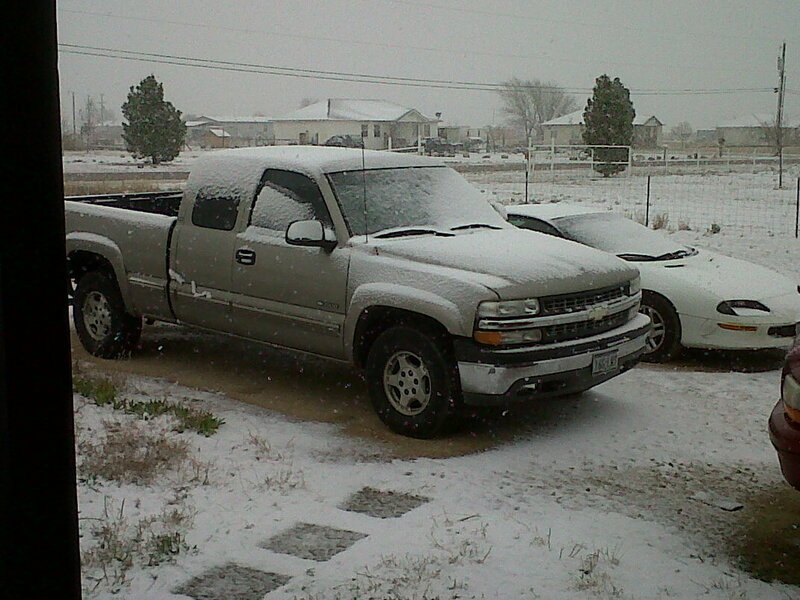 I must say I love Texas weather. Yesterday it was cold, the high only hit 33. Even where I am from, Missouri, that is cold. 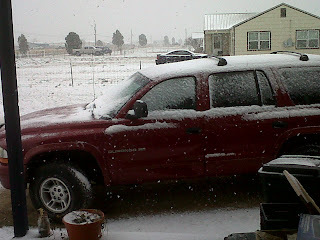 I was home from church about 30 minutes when it began snowing. 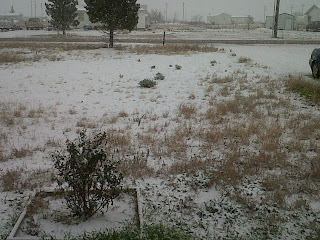 With in an hour, this is what we had. Have an awesome Monday y’all, stay warm! An introduction to my kitty children. I now have 4 kitties. Well ok 4 cats but to me they will always be babies. Each is distinct in looks and personality. 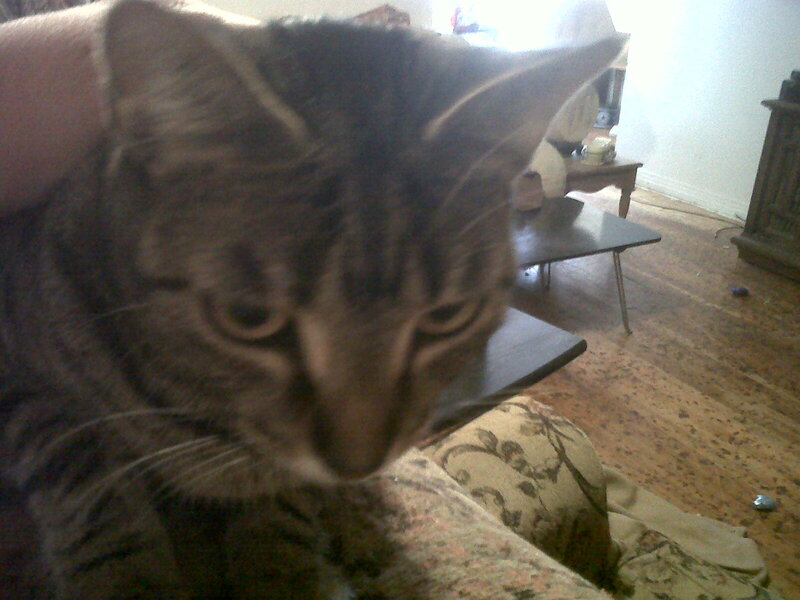 First up we have Spazz, aka Spazzy, Spazzy Girl or Pazz. Spazz is a grey tabby with lots of orange tossed in. She is pretty mellow, unless one has the laser pointer in their hands… then she runs full tilt into things to get that green dot. 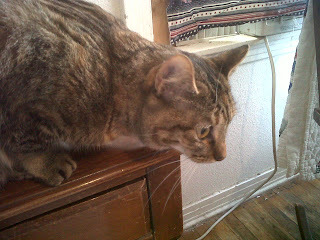 She is more Beloved’s cat than mine. She loves to snuggle in his lap, mine will do if he is not available. Now when my son Chris is around, she is HIS cat. She allows herself to be picked up and carried and cuddled. 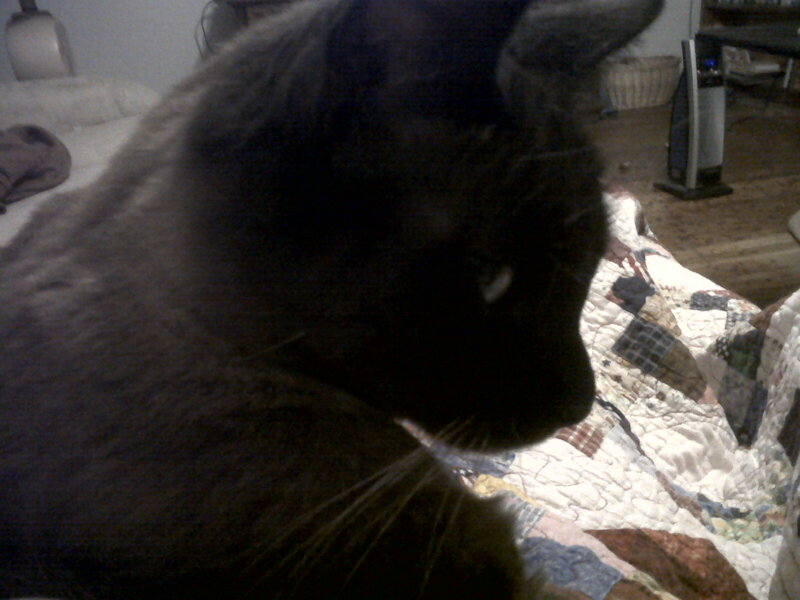 Her purr is not loud but is a deep comfy rumble when she chooses to employ it. Next is Munchkin aka Munchie. Her face is distinct and shows her displeasure when she is unhappy. She is a black grey and white tabby. She does NOT like to be held or picked up. She will nap in laps as long as there is no attempt to hold her. Beloved and I have finally convinced her that picking her up and hugging her is not going to kill her but l about 30 seconds is her limit! Next is Mouse. Mouse is MY baby. She enjoys attention. 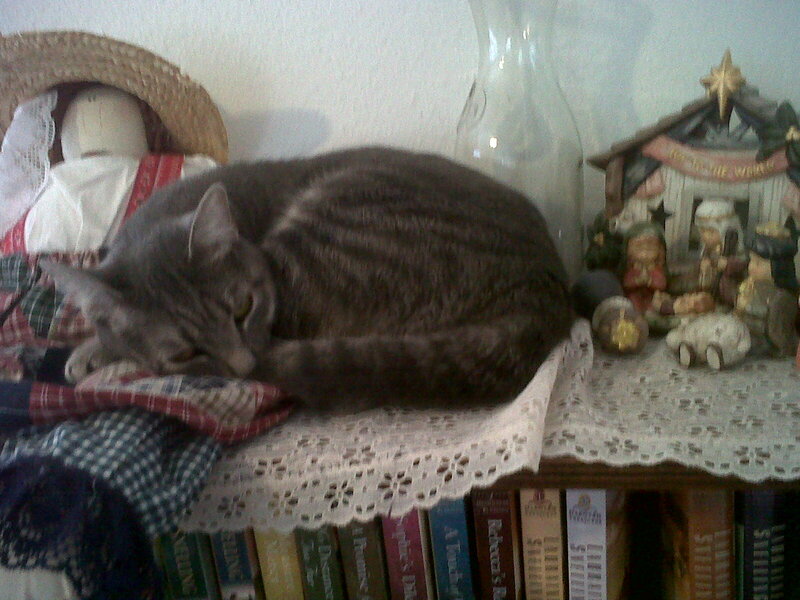 She is a light grey tabby. She is soft and fuzzy and the smallest of our kitties. She often follows me around like a puppy. My goodness she cries when i leave or heaven forbid try to go in a room with out her. She loves stuff mice and will often spend time playing fetch with me. To be honest she is my favorite kitty. She even likes to share my honey nut cheerios with me, dry with no milk no less. Lastly we have Mousse aka buddy boy. Mousse is a foundling. He appeared on our porch last week and was so gorgeous and unafraid we fed him. 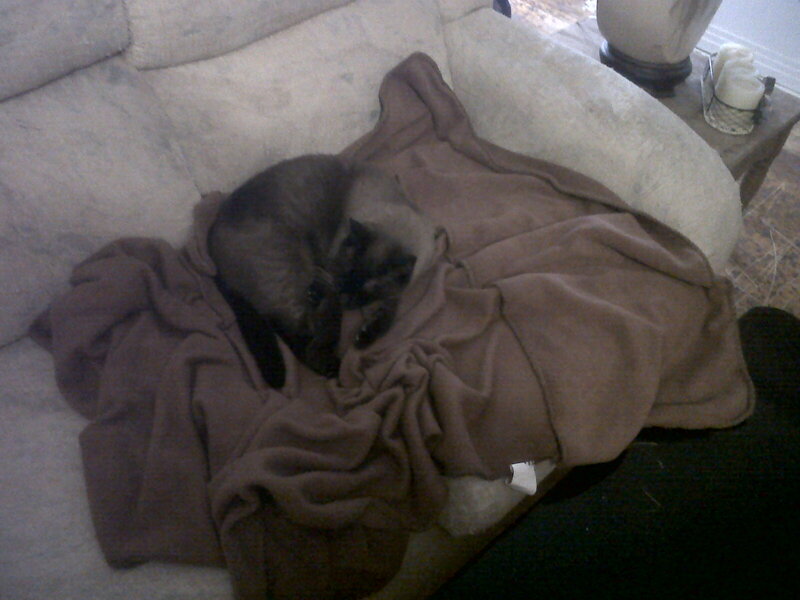 He is mostly Siamese. Dark brown, like dark chocolate, hence the name. His eyes are a very light blue but sometimes appear green. He is the most laid back kitty I have ever seen. Does not care what you do as long as you love him. We took him to the vet Tuesday to make sure he was healthy and would not infect the tribe with an illness. Dr. Allen declared him healthy, mostly Siamese, neutered and about 6 years old! He is so small for full grown! The girls are not real happy about their new brother. Though things are settling down. If they see him they growl or hiss. He just looks at them and goes on about his business. Yesterday he sat on one side of my lap and Spazz on the other, and she stared him down but made no move to attack. Today there is less hissing going on so I think things will settle down soon. So there you have it, my kitty family.